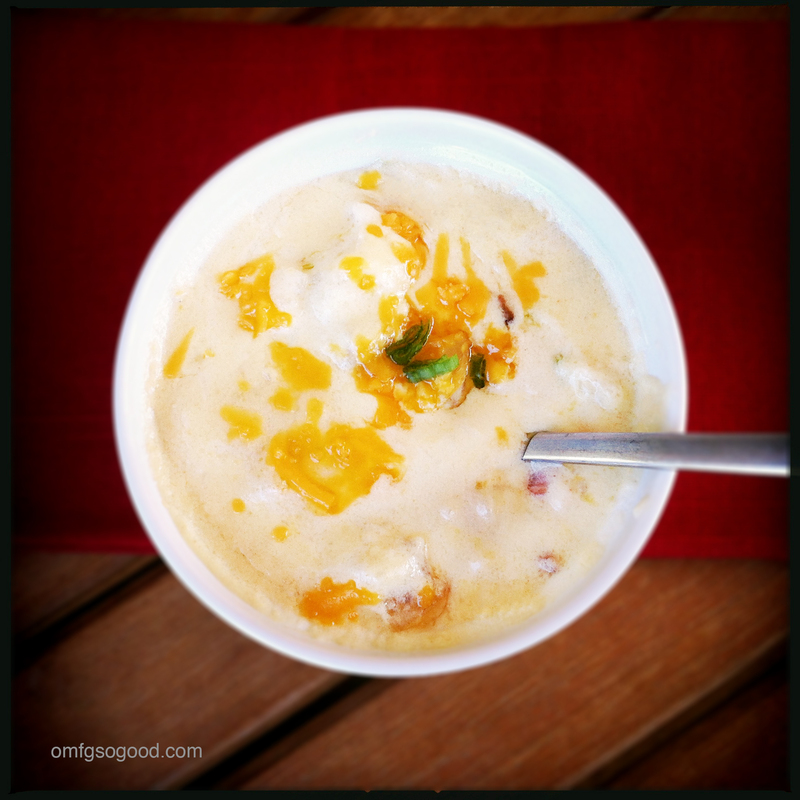 roasted potato and bacon soup | omfg. so good. Let me just start off by saying, this soup is not low calorie. And I can’t think of anything else to say that will be as good as what you just saw, so I’ll just quit my jibba-jabba and give you the recipe now. Preheat the oven to 425 degrees. 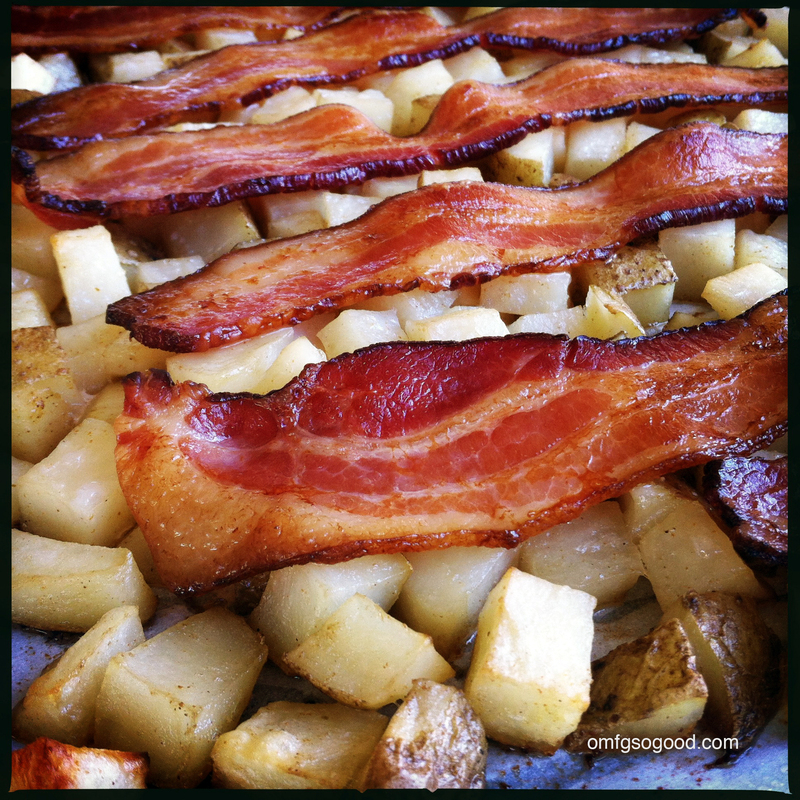 Line a sheet pan with parchment paper and set aside. In a medium mixing bowl, combine the potatoes, oil, salt, white pepper, garlic powder and paprika. 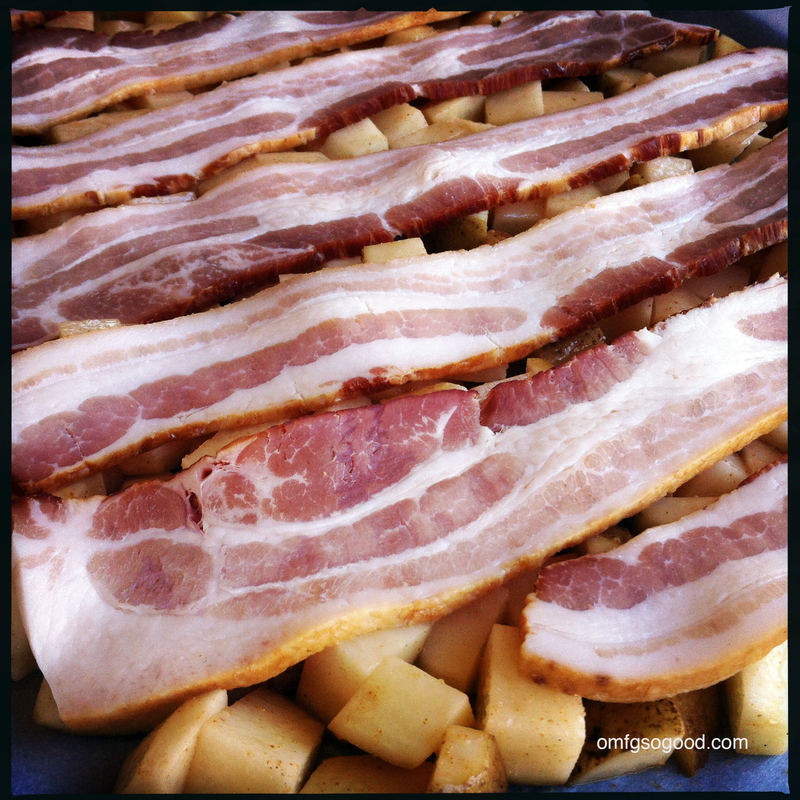 Toss to evenly coat then spread in a single layer on the prepared sheet pan. 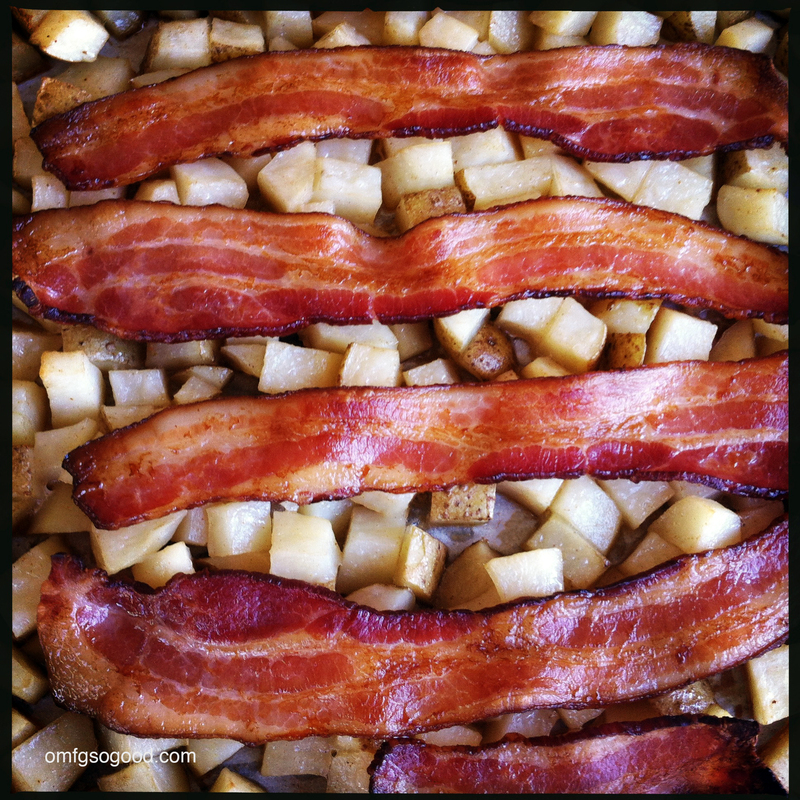 Cover the potatoes with the uncooked bacon slices. In a large stock pot or dutch oven, melt the butter over medium heat then add the onions and crumbled bacon and cook for a few minutes to soften and sweat the onions. Add the flour and stir to coat then slowly stir in the milk and cream. Stir to slightly thicken then reduce the heat to medium low and add 1 1/2 cups of the shredded cheese (reserve the rest for serving garnish) and stir to melt. 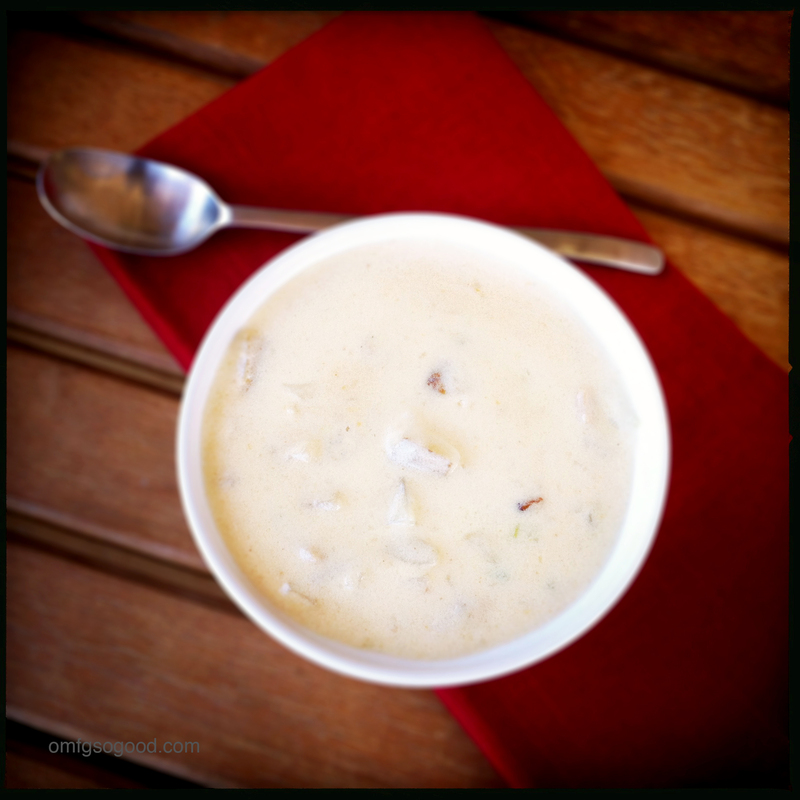 Add in the potatoes and stir to combine then reduce the heat to low and simmer to final thicken (around 15 – 20 minutes.) Add additional salt & pepper to taste. I like how you cook the bacon and potatoes together. Looks like a nice comfort dish. 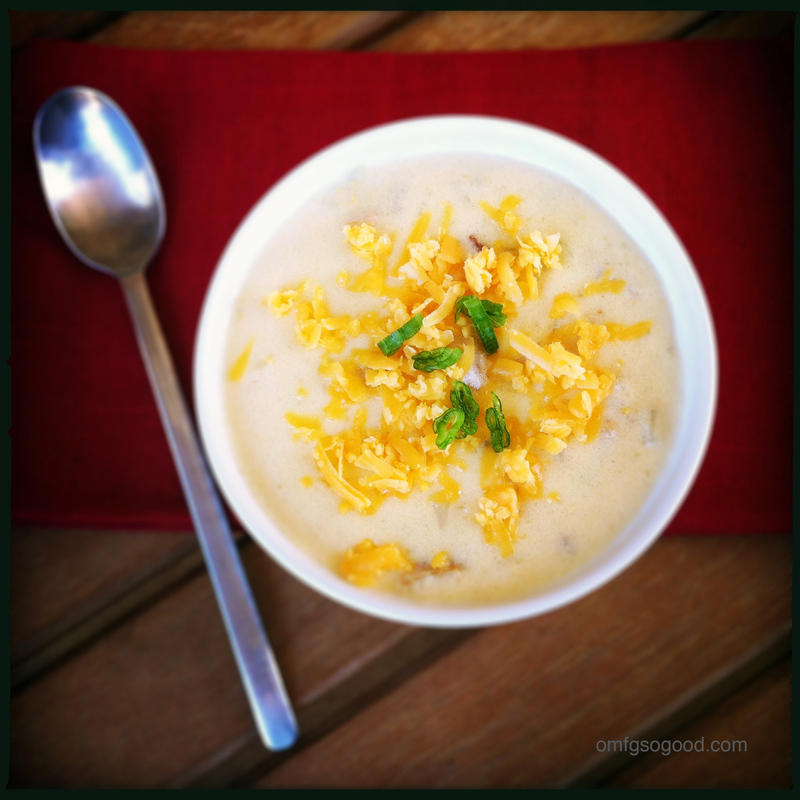 This is ultimate comfort food/chilly weather soup – INCREDIBLE. I need that, stat. Even though it’s summer here in Australia, I must be nuts – although the heart wants what the stomach wants….hang on….